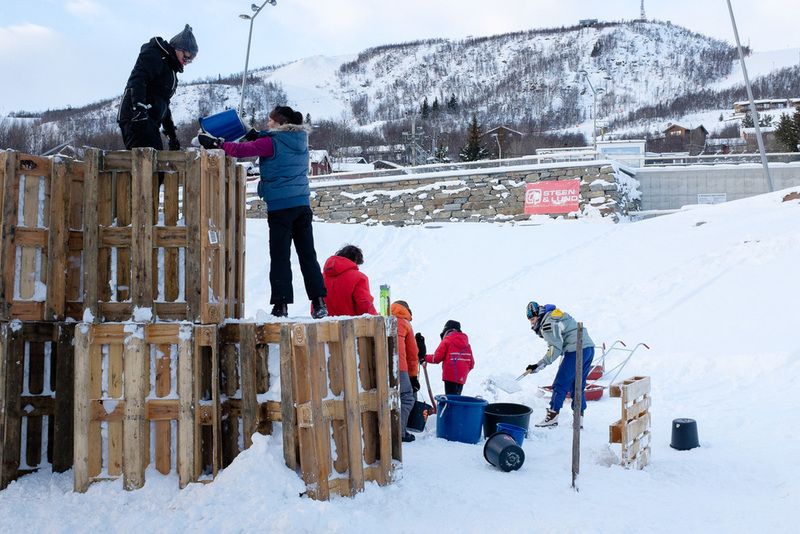 We've got a jammed packed 3 day of performances both in the main arena at 15:00 & 22:00 and then down at 'Slåttahølen' by the lake shoreline next to Geilo Culture Church at midnight. For full details, please see our 2016 Performance Times page. Expect extraordinary musical exploration, as Gawain Hewitt and his bespoke 'under the ice' recording equipment will be performing with improv kings Arve Henriksen and Terje Isungset. Yes, you read that correctly -hydrophones and speakers deep in the water flowing under a ceiling of thick lake ice. This is also the second year the Art & Design School in Bergen (KHiB) have collaborated with us by designing and building the second concert arena. 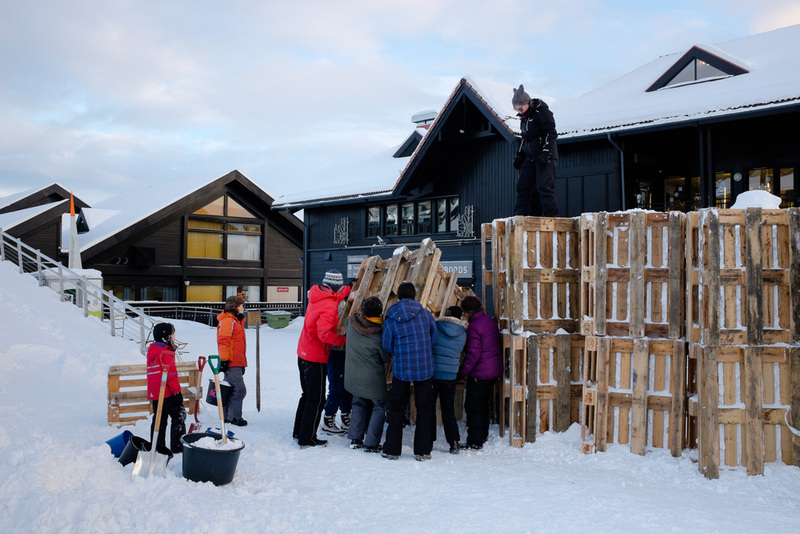 Born from artwork from KHiB, 14 students and teachers have created a sensational ice outpost at Slåttahølen. Feel free to download these flyers showing our key times and artists. For more in depth information about the musicians and artists participating in #icemusicfestival2016 please see our 2016 Artists & 2016 Performance Times pages. 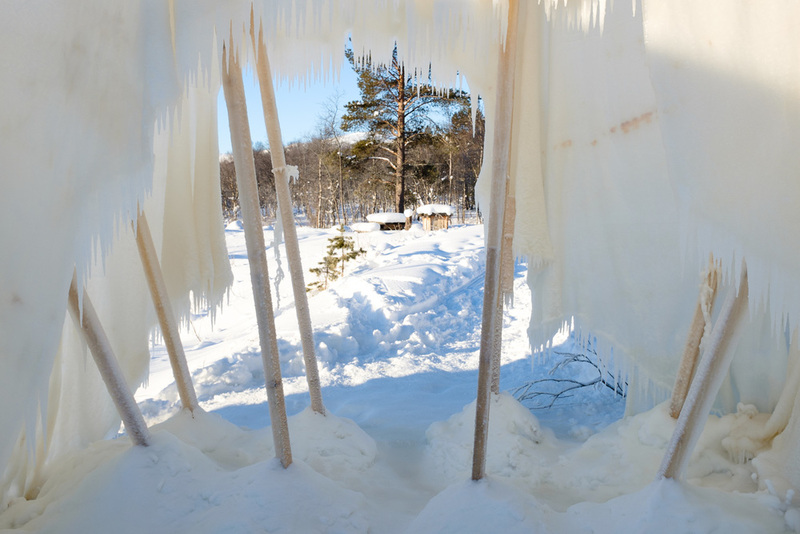 Fancy cross country skiing too whilst visiting #icemusicfestival2016? Cross country skiing in Norway is free of charge, and Geilo proudly boasts more than 550 km of prepared trails to suit all abilities from first timers to competitive athletes - after all, cross country skiing is a national obsession. 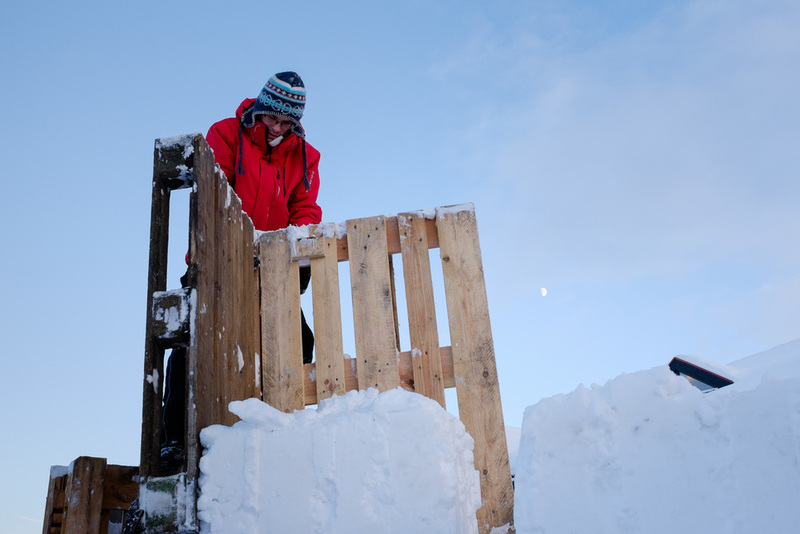 Geilo's cross country trails are maintained to a high standard throughout the winter and you can track the trail preparations each morning by visiting www.skiporet.no and seeing where the 'Løypemaskin' (Track Machine) is. Skiporet also have Apps available for Apples & Androids. There are a number of shops in Geilo centre that offer rental packages, including all you need to hit the trails - take a look at our partner Visit Geilo for more information. Geilo is situated almost exactly halfway between Oslo and Bergen in the southern, mountainous part of Norway and easily accessible by car, train or bus. No direct air link to Geilo however numerous airlines, both low cost / budget and premium carriers connect with Oslo’s 3 airports - Gardermoen / Torp / Rygge and Bergen International airport. Skyscanner is a good reference point for flight availability. The Bergen Railway is one of the most beautiful rail journeys in the world, according to Lonely Planet, the Norwegian National Public Broadcaster NRK, and the national Norwegian newspaper, Aftenposten. So be sure to book your journey in daylight hours! The train takes 3.5 hours from Oslo S (Oslo's central / main station) and about 3 hours from Bergen. The NSB (Norway’s National Rail Company) train runs through some of the most beautiful, wild and unspoiled nature in Norway - vistas abound! The train from both Oslo S & Bergen has 5 - 6 arrivals / departures daily. Booking online is very simple and we recommend paying the little extra for a Komfort seat. The shortest route between Oslo and Bergen is Rv 7. The Rv 7 over Hardangervidda and along the Hardanger Fjord is a national tourist route. You can also follow the Rv 50 over the mountains from west to east with the scenery between Aurland and Hol particularly magnificent. From Hol, it is another 10 km to Geilo. Alternatively, if you arriving from south of Norway into Larvik via ferry, then the quickest route to Geilo is the Fv 40 running through north via Hvittingfoss, Kongsberg and Rødberg. Please note: if you are arriving from a different country and intend to drive to Geilo, we recommend you reference Norwegian Public Roads Administration. Their English website offers clear information regarding tyre and chain, route planning and legal requirements. 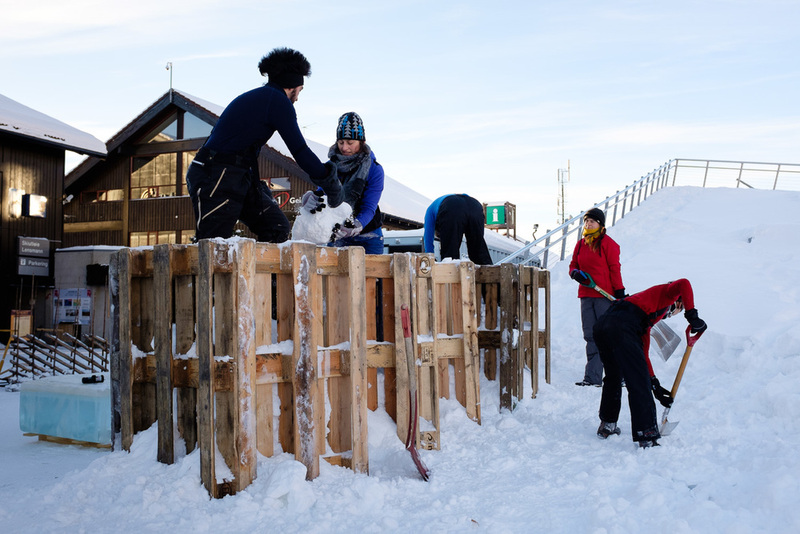 Geilo has nearly 5,000 beds available and the town’s status as one of Norway’s premiere and largest snowsport resorts, means there is a wonderful choice of accommodation available. From traditional family run hotels, to spa resorts, private apartments and woodland luxury cabins. A comprehensive list of the accommodation available (for most budgets too) can be viewed through our dear friends at Visit Geilo. Huge thank you to our #icemusicfestival2016 sponsors! #icemusicfestival2016 could not exist without generous support from our local sponsors. Their collective support is so valuable and we really appreciate the commitment from each and every business who champion such a unique musical experience. 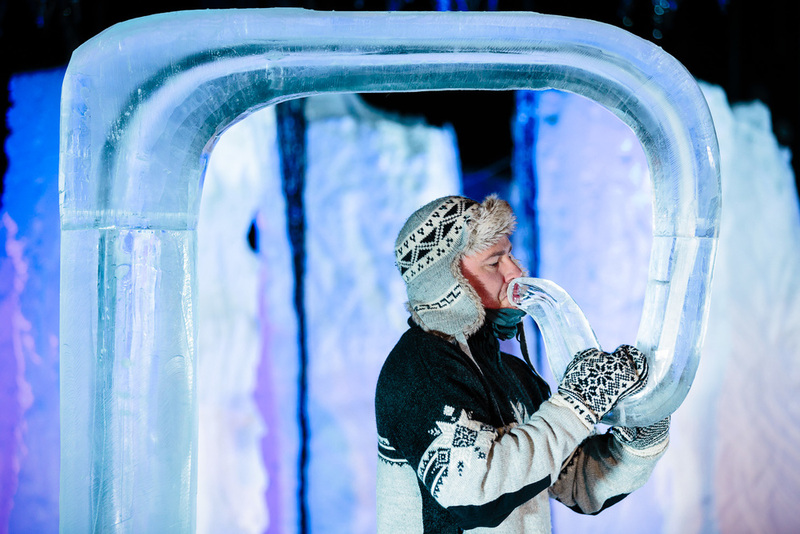 For our 10th anniversary year in 2015, DJ / radio presenter / producer / journalist and high quality music filter Mary Anne Hobbs made a pilgrimage to Geilo to experience ice music in its live, emotive form. Mary Anne was wowed and rapidly fell under the spell of what she heard. One of the stand out performances was that of Africa's Mamadou Diabate - one of the world's leading balafon players. Hailing from Burkina Faso, Mamadou created the world's first ice balafon with ice carving god Bill Covitz. The result was utterly sublime, with Mamadou playing with rare virtuosity and passion. We are really chuffed that Mary Anne has included Mamadou's debut at the Ice Music Festival in her round up of musical highlights of 2015. You can hear this list on her BBC 6 Recommends show. And Mamadou is rolling with fierce company too - Kendrick Lamar, Aldous Harding, David Bowie and Nils Frahm, to name a few! Arve Henriksen is one of the world's most revered trumpet players, with an illustrious career performing a diverse range of styles from the seraphically spatial flute-like sounds of his 2004 solo record Chiaroscuro to the wildly industrious onslaught of Norwegian 'improv supergroup' Supersilent. In short, Arve is not nervous to experimentation and pushing sonic boundaries, so his eager interest in performing with the Ice Music Festival fits perfectly. Having a long term collaborative musical relationship with Ice Music Festival co-founder Terje Isungset (including their sublime World of Glass project) Arve was invited to play at 2012's festival, with huge success. 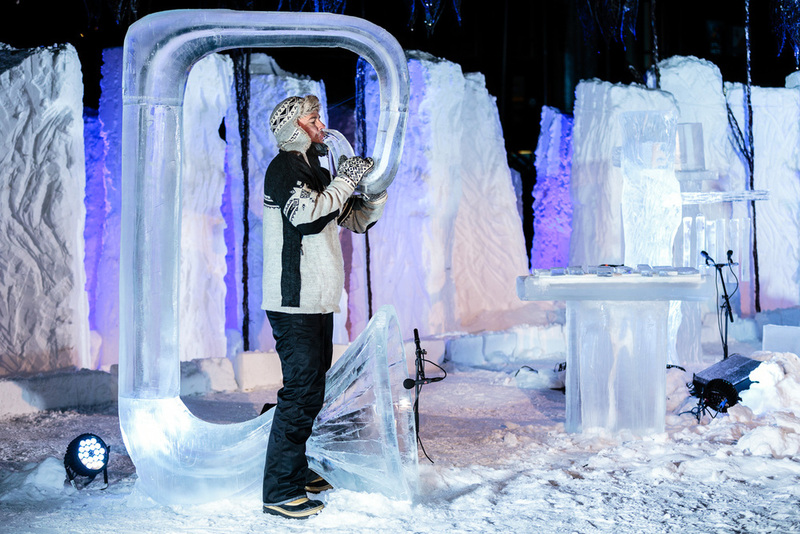 2015's festival then witnessed Arve challenge ice carving supremo Bill Covitz to make one of the biggest *double* horned ice instruments ever to grace our cold stage. And boy, did the horn's sound blow the audience away! 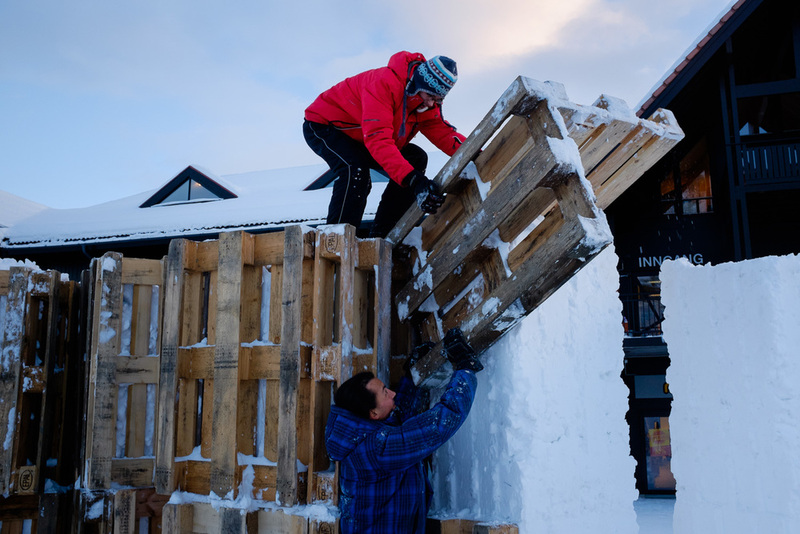 What musical scheme has Arve hatched for #icemusicfestival2016? Yes, you read that correctly. 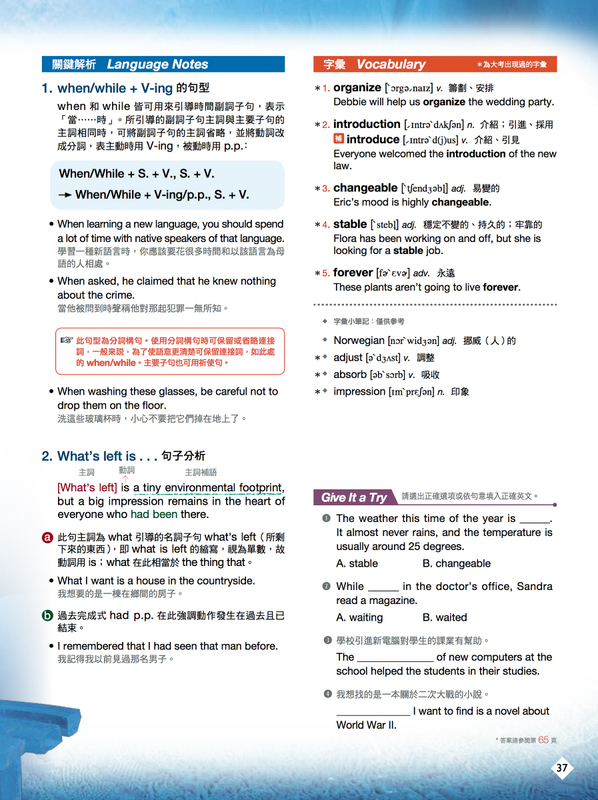 Our Ice Music Festival has been published as part of a popular English learning magazine based in Taipei, Taiwan. LiveABC Interactive Corporation produces award-winning language-learning publications and multimedia resources in both English & Chinese. 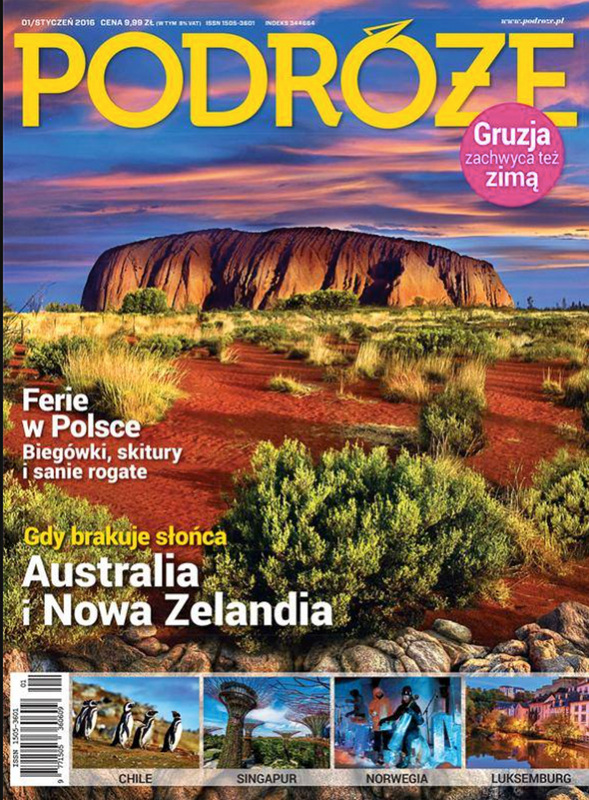 The learning theme for their latest magazine (used regularly in schools throughout the country) is music & instruments and they thought it cool to feature our unique ice creations. Let us know if you are in Taiwan and booked to join us for #icemusicfestival2016 as you'll be joining fellow ice music fans who make the trip to Geilo from as far away as USA, Canada, Australia, New Zealand and right across Europe! 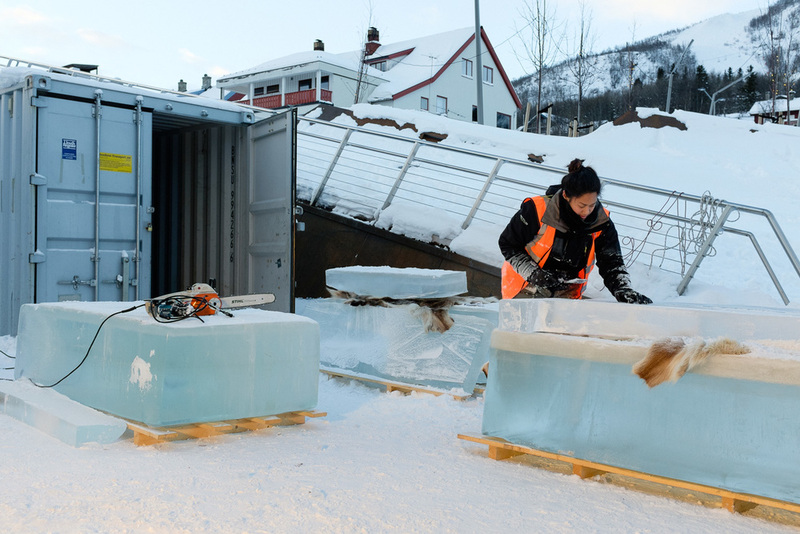 Got your #icemusicfestival2016 tickets yet? Buying your #icemusicfestival2016 tickets gives you a chance to see what ice carving supremo Bill Covitz and his cut team will create for our 11th year. 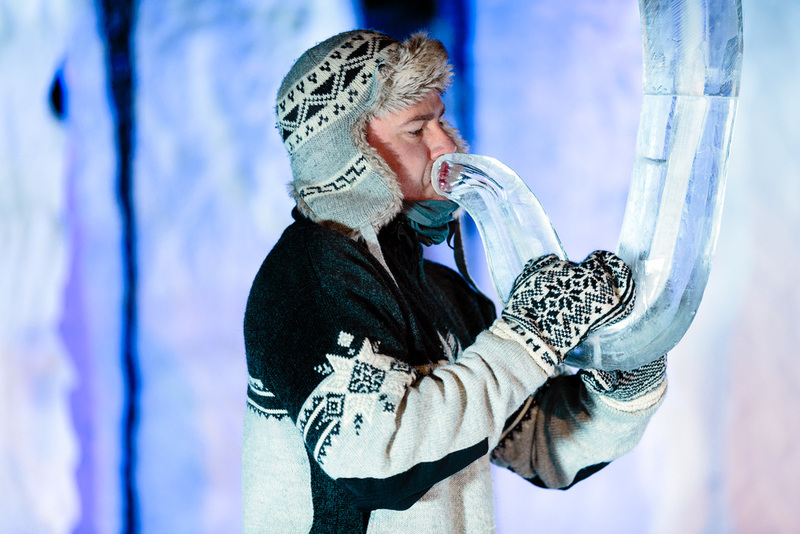 Here he is back in 2013 with one end of Daniel Herskedal's humongous ice tuba (yep, another world first). Daniel is returning to Ice Music Festival and will be performing twice, firstly on Friday 22nd at 20:00 and then on Saturday 23rd at 22:00. Check out who he's playing with on our concert listing page.